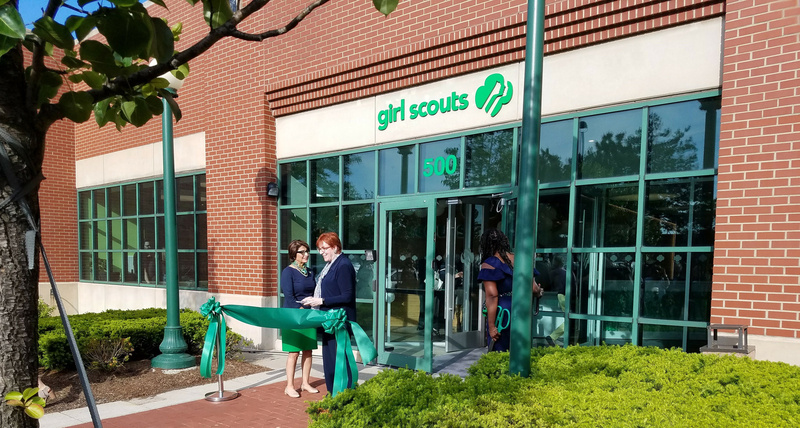 Above is a picture from the ribbon cutting ceremony: Girls Scouts of America CEO Sylvia Acevedo (a former rocket scientist), and Denise Dalrymple, CEO of Girl Scouts of Southeastern Michigan. The Girl Scouts of America (GS) had a long-term lease in the Fischer building in Detroit, Michigan, with significantly over-market rent and more square footage than needed. Other challenges in this building were landlord’s bankruptcy, unresolved maintenance issues that caused property damage to the premises and tenant’s furniture, and inability to use all its leased space due to an osprey (protected species) nest near the windows. Lynn Drake of ITRA Global Detroit/Compass Commercial was tasked with identifying available spaces for lease that offered free parking in the Detroit market.